Chengdus & Don'ts: The Enormous Carrot! 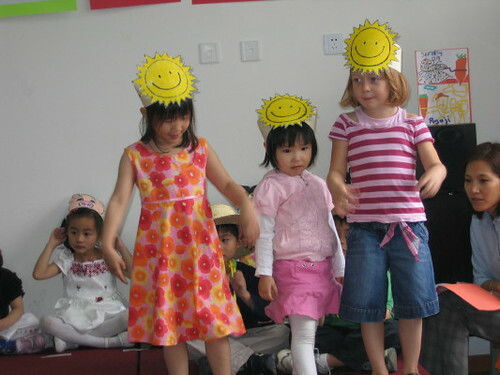 Last Wednesday Gemma's 3-4 year old class gave their class assembly for the year. 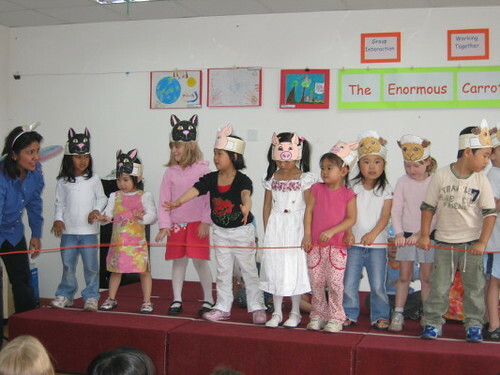 They had been studying a unit on the earth, farm animals and working together. 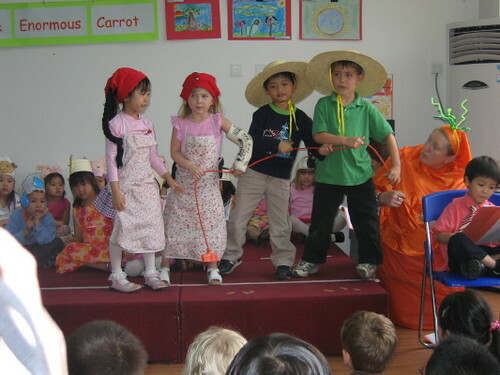 The name of their play was "The Enormous Carrot". The funny thing was that Gemma came home the day before and asked me who I thought was the Enormous Carrot. I thought about her class and thinking it had to be her because she was the only red head in a sea of black headed children she would be the best choice. I guessed wrong and realized that it was her teacher Miss Berry, who had identical red to Miss Gemma. Here are some pictures and videos of the play. The carrot had grown enormous, so the farmers and their wives had to try and pull the carrot out of the ground. It actually took the farmers, their wives, the sheep, the pigs and the cats to get the carrot out of the ground. They all worked together! They also sang us a Chinese song. We have been so pleased with Gemma's school the past two years. We are really looking forward to another year at QSI. 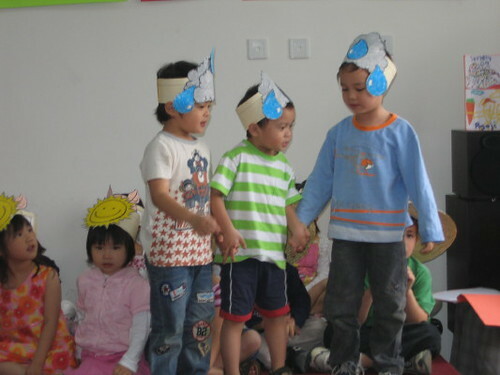 As you can see their is a diverse group of children from all over the world. Gemma has learned such a great deal about other cultures and quite a bit about geography. 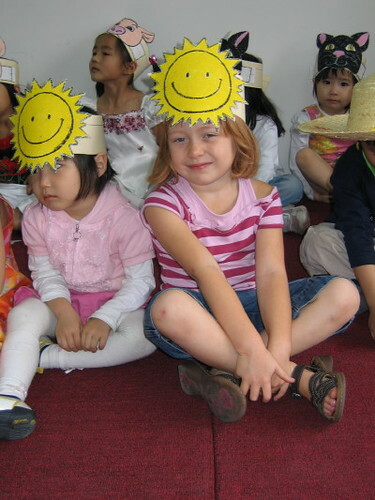 We are so grateful to have had our experience in China. The videos were so cute. I wish my children could have that type of experience with other cultures and places.